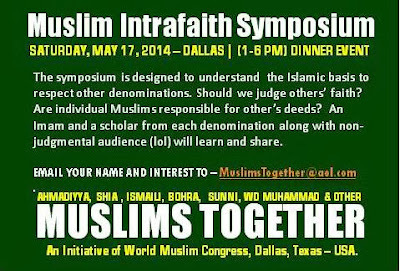 There are about 35 mosques in the Dallas-Fort Worth area, Mike Ghouse wrote on his daily Ramadan blog. 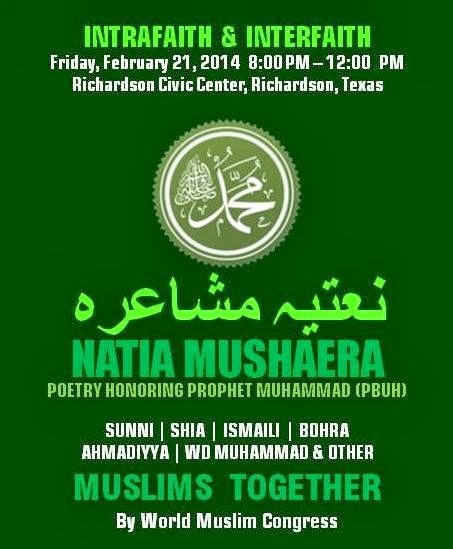 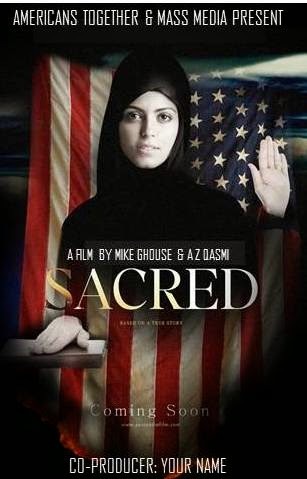 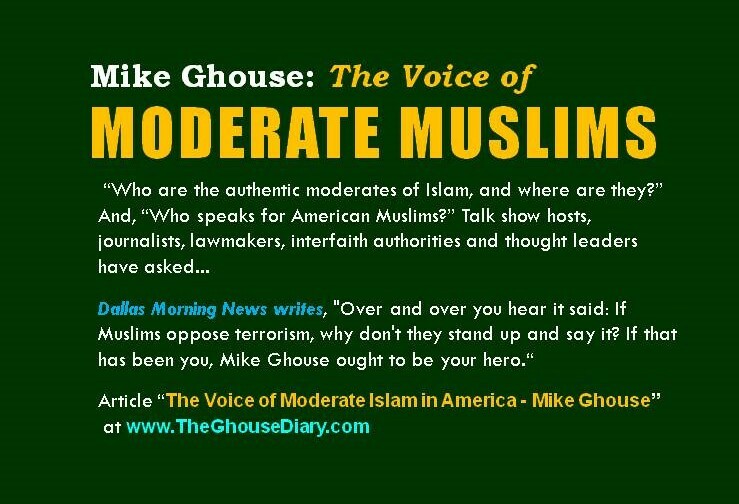 A member of the Texas Faith Panel at the Dallas Morning News and a regular contributor to the Huffington Post, Ghouse is a prolific Muslim writer, public speaker, activist, and initiator. 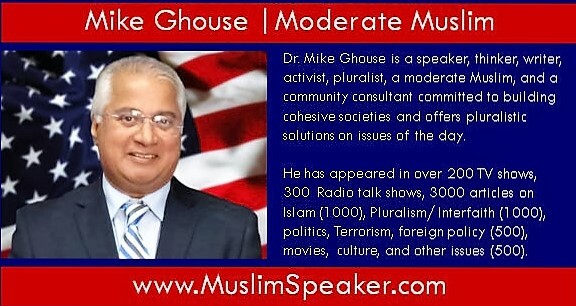 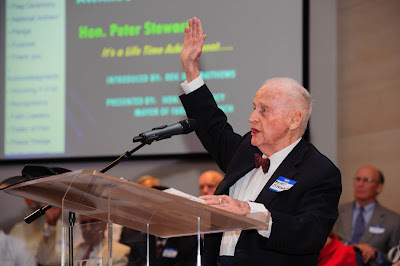 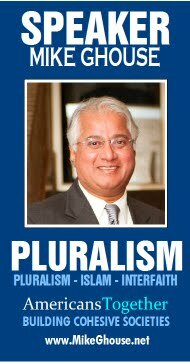 He maintains over 27 blogs and four websites, indexed at www.mikeghouse.net, mostly around the subjects of pluralism, interfaith movement, justice, politics, Islam, India, hope, and world peace. 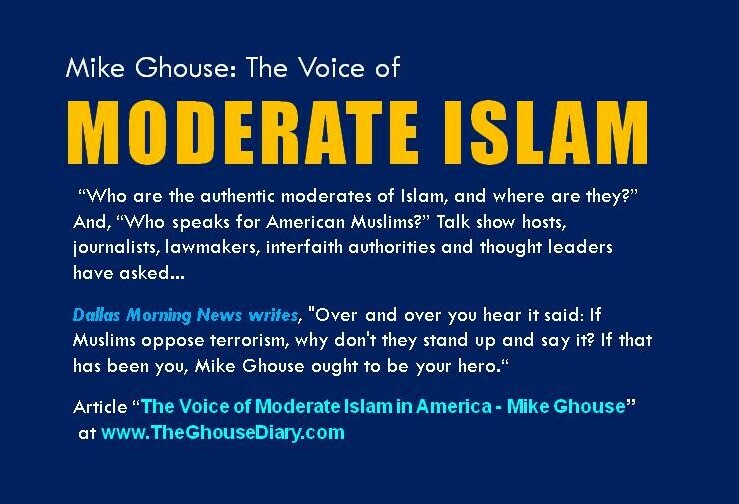 This Ramadan, Ghouse has visited over 15 mosques where he broke his fast and socialized with Muslim communities. 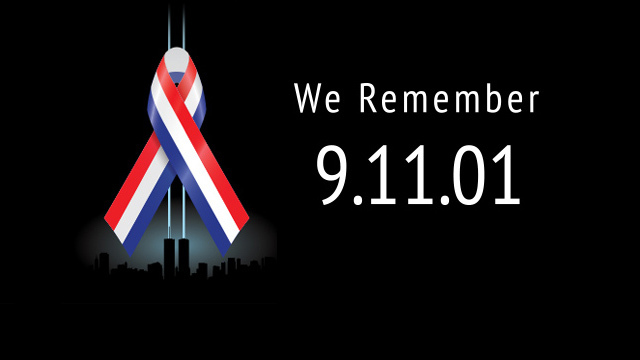 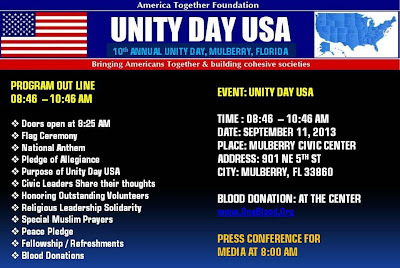 Ghouse is also a pioneer in a DFW yearly event, 9/11 Unity Day: "On this Unity Day USA, we, the people of the United States of America of every faith, race and ethnicity, will gather to express our commitment to co-existence, safety, prosperity and the well being of our nation. 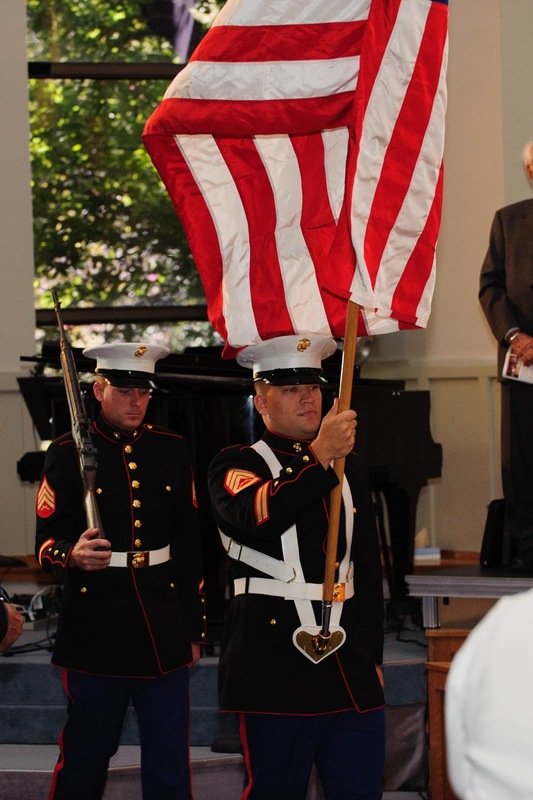 As Americans we uphold, protect, defend and celebrate the values enshrined in our constitution. 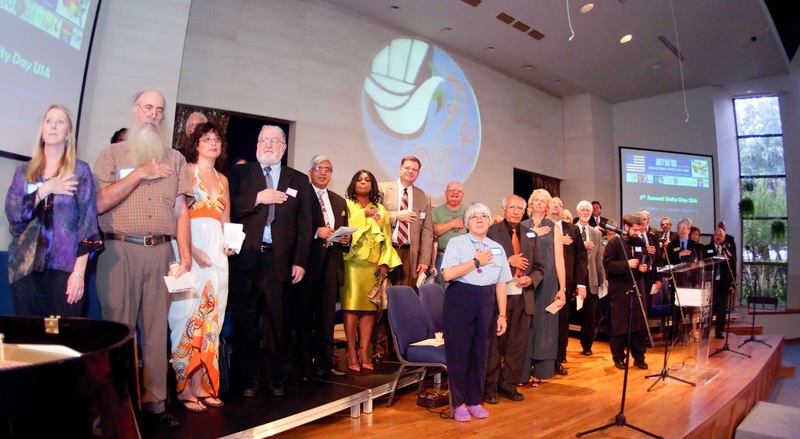 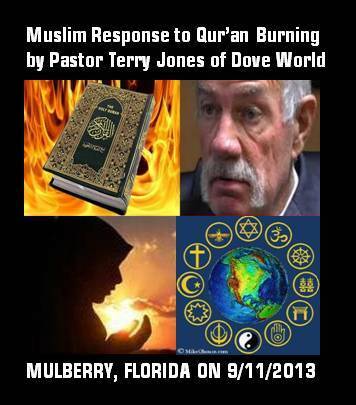 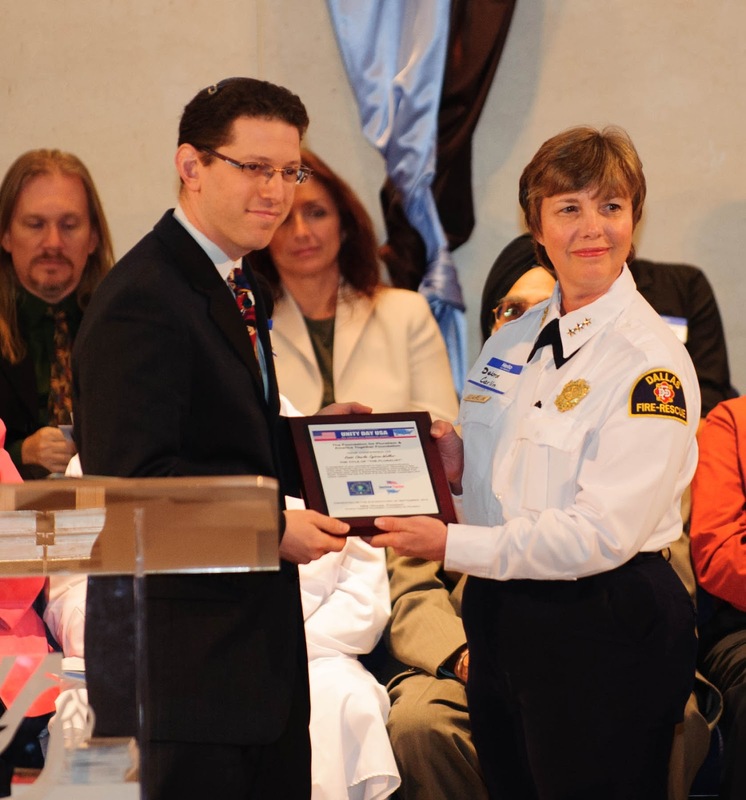 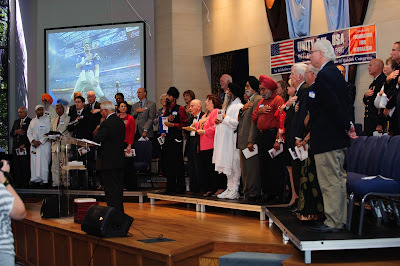 All our faiths reinforce the creed of "One Nation under God, with liberty and justice for all”. 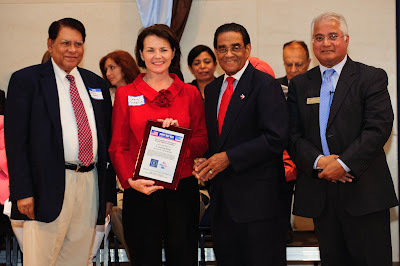 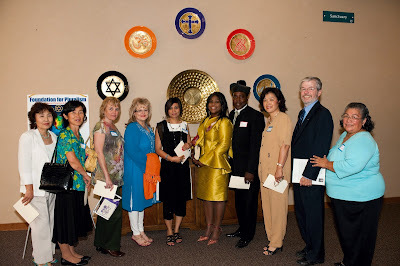 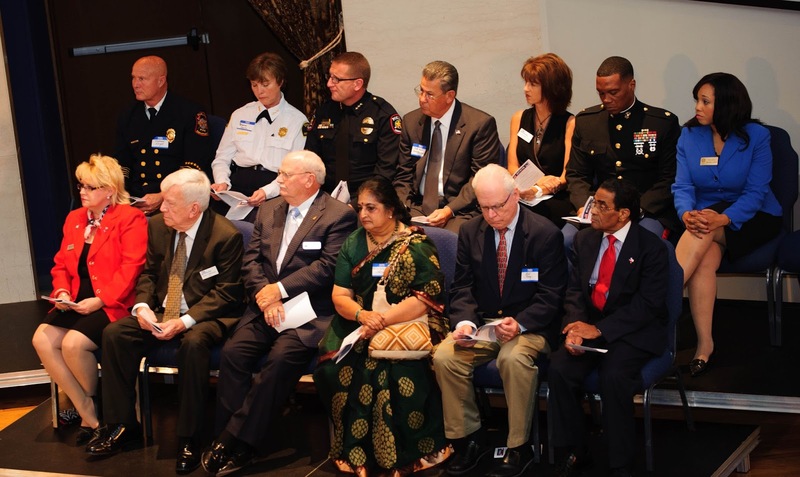 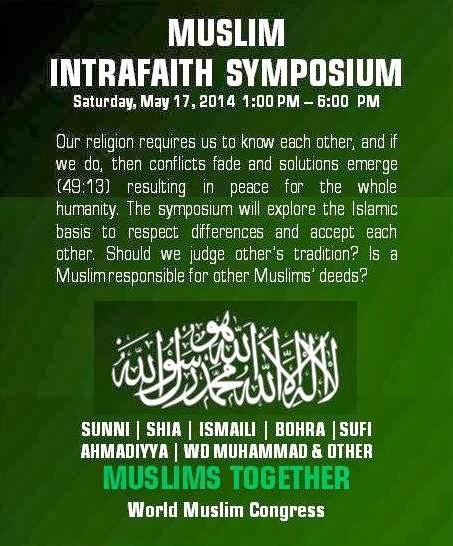 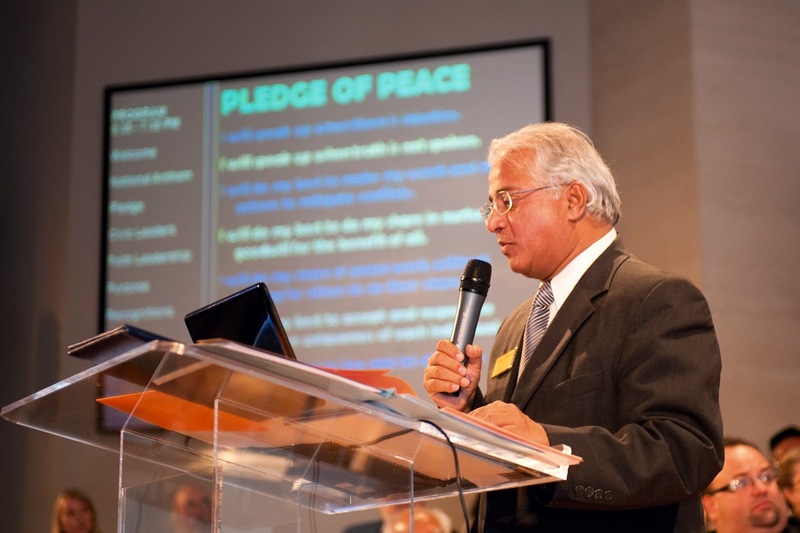 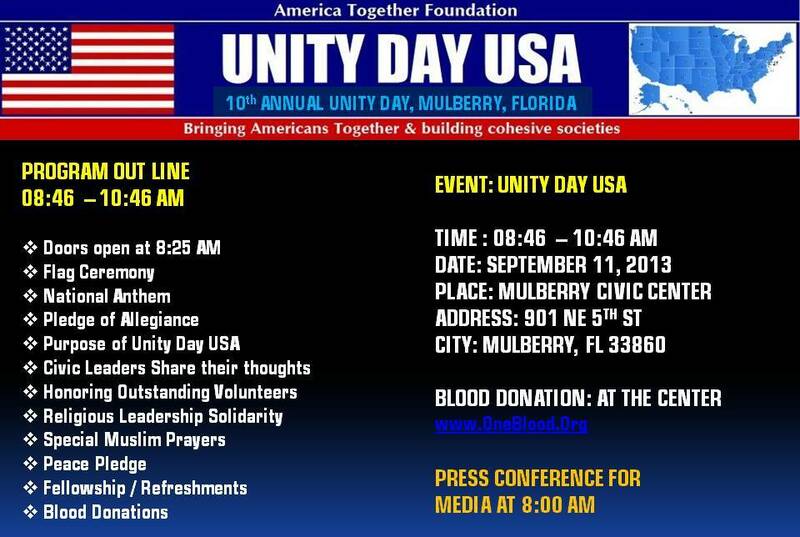 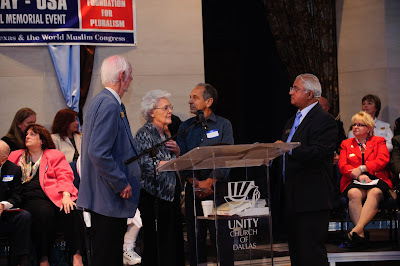 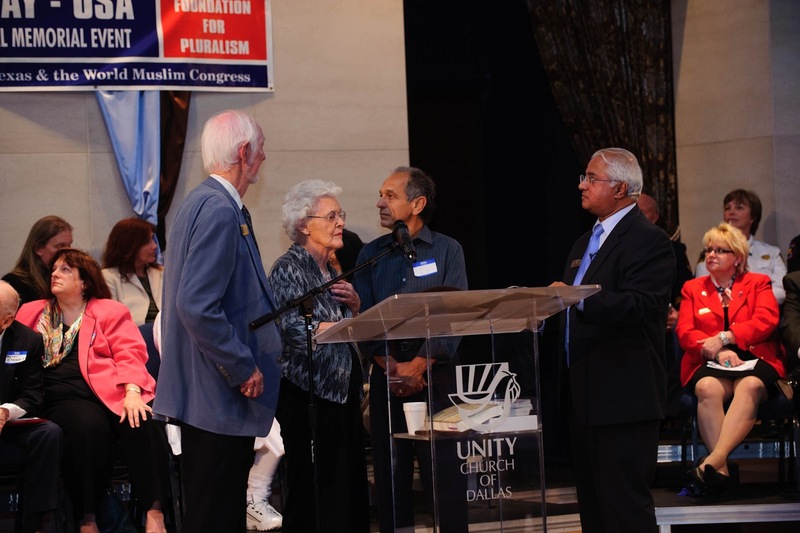 This year's Unity Day is on Tuesday, September 11, 2012, at 11:30 a.m., at Unity of Dallas, 6525 Forest Lane, Dallas, TX 75230.
have been supportive of their pastor and have also learned about Islam from within a fresh perspective. 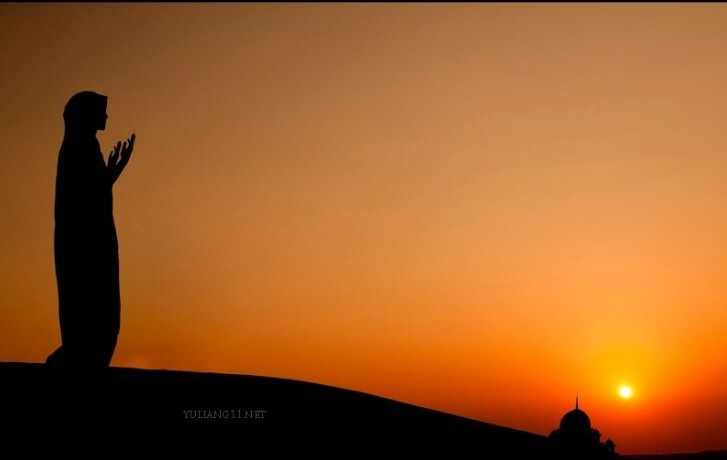 So what does Eid mean to those who celebrate it? It reflects thanksgiving to God who promised forgiveness and blessings to those who submit to His will and follow His commandments by doing good and refraining from evil. It celebrates humanity and its main characteristic, self control. There is no one way to celebrate Eid as Muslim diversity is reflected in cultural traditions, but there is a common aspect of Eid that all Muslims (along with their non-Muslim friends who are sharing the experience) share: a sense of a new beginning. 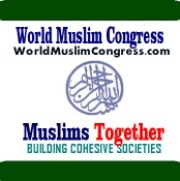 After fasting a whole month in submission to God, Muslims are happy to start a fresh year, building community relations and aspiring to maintaining spiritual and ethical principles throughout the year. 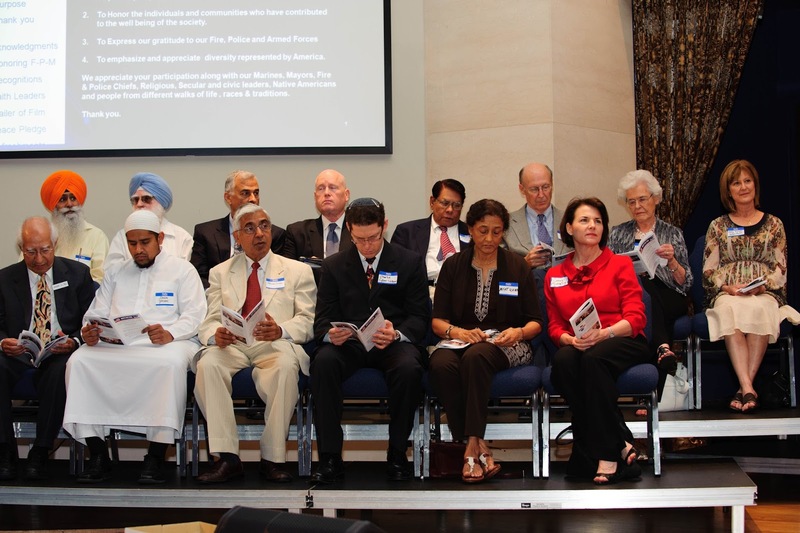 To Wes, Mike, and everyone in DFW, many wishes for Eid Mubarak (Blessed holiday) and for a peaceful year. Amen.